In 1997, the year the group's debut album, All Comes Round, was unleashed on the South African music scene, few might have predicted that in the space of a year, the album would shift platinum, score no less than four Top 40 hits on 5fm (South Africa's largest national radio station) and earn the fledgling group the front cover of Billboard magazine. After all, the SA rock scene is renowned for its unyielding boundaries, with album sales in particular more often that not barely scraping the 10 000 mark. But All Comes Round accomplished all that and more, and today remains a benchmark album for any rock band entering the scene, with songs like "Shallow Waters" and Father and Farther" perennial radio favourites. Along the way, Just Jinger frontman, Art Matthews, and his bandmates always drummer Brent Harris along with several different bass and guitar players (Tuks, Verny Scholtz, Denholm Harding and Dan Janse Van Rensburg) were transformed from being part of a regular rock playing band on the circuit to bonafide stars. Much of this rested on Just Jinger's obvious skilled musicianship, and the band's and Matthews' in particular electrifying stage presence. But mostly it had to do with the singer and guitarists' ability to pen songs of epic proportions, marking Matthews' out as one of the country's most accomplished songwriters. The latter probably took some of the group's first fans off guard after all, to earn a living, Matthews had been playing the cover band circuit for some time before securing a recording contract with BMG Africa in 1996. But with each Just Jinger release, Matthews proved the chart topping tracks off All Come Round were no fluke. His was and indeed is a songwriting gift that resides in the modern rock tradition but is pretty much flawless, instantly accessible, quite frequently gorgeous, diverse and always memorable. 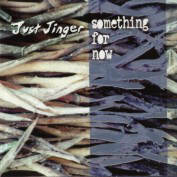 Just Jinger's growing fanbase took the group without hesitation and were not disappointed with the release of the EP, Something For Now (1998) which spawned chart topping tracks like "Like You Madly" and "Paradise in Summertime". The EP also contained one of the few recorded cover versions the band had ever done a dazzling interpretation of Rodriguez' "Sugarman". 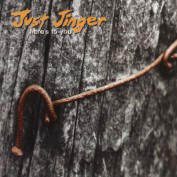 Line up changes did nothing to undermine Just Jinger's undisputed position as the reigning kings of South African rock and in 1999 Here's To You (featuring a title that paid tribute to the group's fans) once more delivered the hits "Those Days" and "Perfect Ground" among them. And although the group's sound remained rock anchored, the album also showcased Matthews' ability to pen more subtle, softer, ballad-like material. Aside from turning Just Jinger into stars (and pin up boys for more than a few fans), the success of All Comes Around, Something For Now and Here's To You had a wider impact. Even those (few) non fans understood the role the group had played in galvanizing the industry on all levels at radio, on the live circuit, at a grassroots fan level helping create a vibrant and dynamic rock scene that many groups still benefit from. 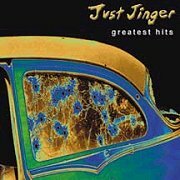 But for Just Jinger, an invisible ceiling had been reached the records broken, the circuits played (at times relentlessly), the international groups supported (among them U2, Def Leppard, the Crash test Dummies and Toto) the sales and chart action achieved. So the group decided to move to one of the most cutthroat music cities in the world London, UK to try and fathom just where their destiny lay. 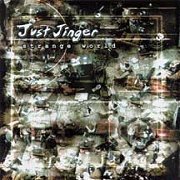 It was there that the bulk of Just Jinger's fourth release, Strange World (2000), took shape. 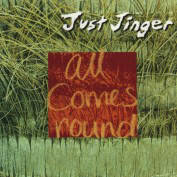 The result of this trans continental shift was an album that had all the trademark Just Jinger ingredients gorgeous songs beautifully served by skilled musicianship and Matthews' warm, full blooded voice and a far more textured, layered and lush sound than before. Stand outs included the exceptional "For All We Know", the radio friendly single, "Your Song" and "Go On". Gathered together here on this Greatest Hits album is the work of a pivotal South African rock band a group that forever altered the face of the genre in a country where rock is not the mainstream music of choice for most people living here. What gives this album appeal for more than just dedicated Just Jinger fans are the powerful performances and enduring strength of Matthews' songwriting, which always stood in a class of its own.